happy v day lovers! 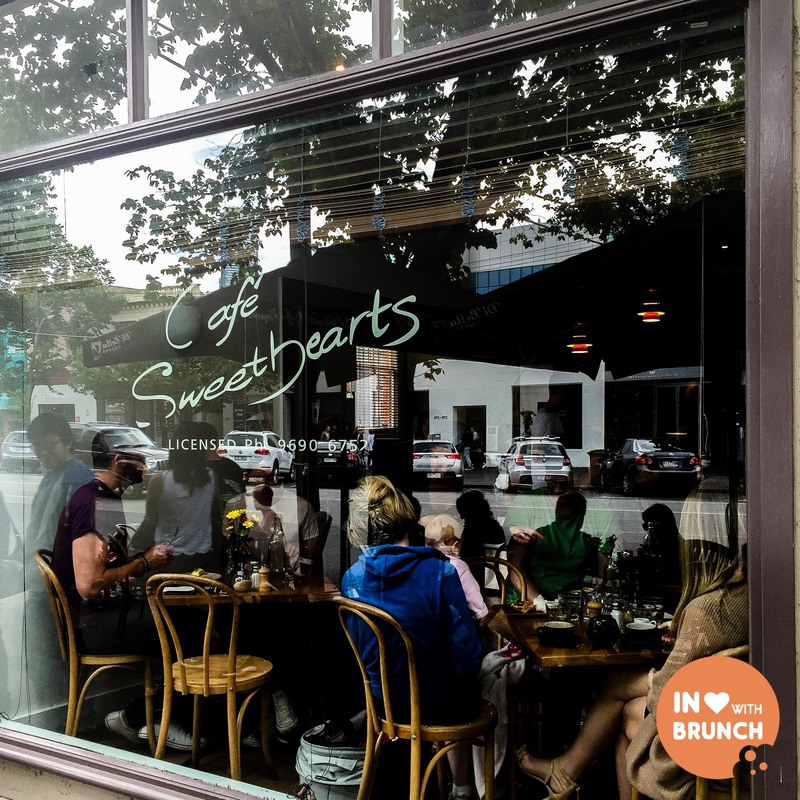 in honour of the day of love, i thought it only appropriate to write about our brunch from a couple of weeks ago at the appropriately named ‘cafe sweethearts’ in south melbourne. opened in 1984, i’m (almost) ashamed to admit that cafe sweethearts has been open longer than i’ve been alive. but 30+ years of patronage is no small achievement in the ultra-competitive melbourne foodie scene, so these guys are certainly an institution. it carries a big reputation too, with a couple of work colleagues recommending this to me on separate occasions. 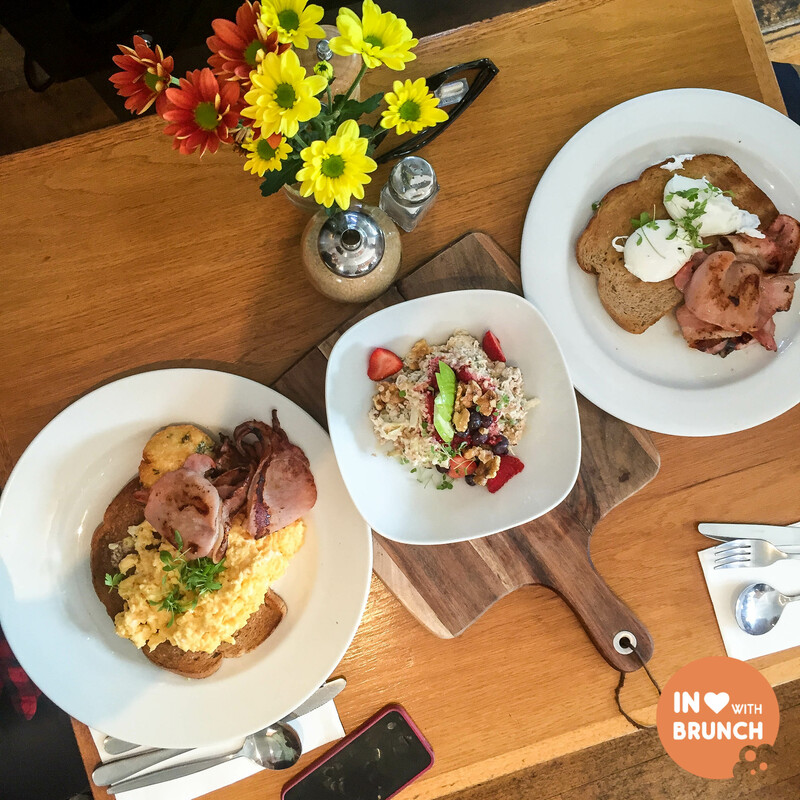 the staff were very apologetic for the short wait for a table, but it was clear they had had a busy morning. and given there were lines outside most of the cafes along coventry street, the wait wouldn’t have been much shorter elsewhere anyway. after being seated, the first thing we encountered was seven (yes 7!) pages of menu! there was a couple of pages dedicated to eggs (of all types and with all forms of accompaniments), then it was on to pancakes, favourites, drinks and many others choice. it almost had me overwhelmed and worried… i was starting to imagine an episode of gordon ramsay’s kitchen nightmares where the restaurant has an over-committed and under-delivered menu. but before you start worrying too… i was so relieved to find that these guys well and truly deliver on their food! prompt service, beautiful presentation and great taste! perfectly poached, these eggs were yolky + gooey. and the bacon was amazing! generous serving size + cooked to that perfect balance between grilled + crispy. happy! 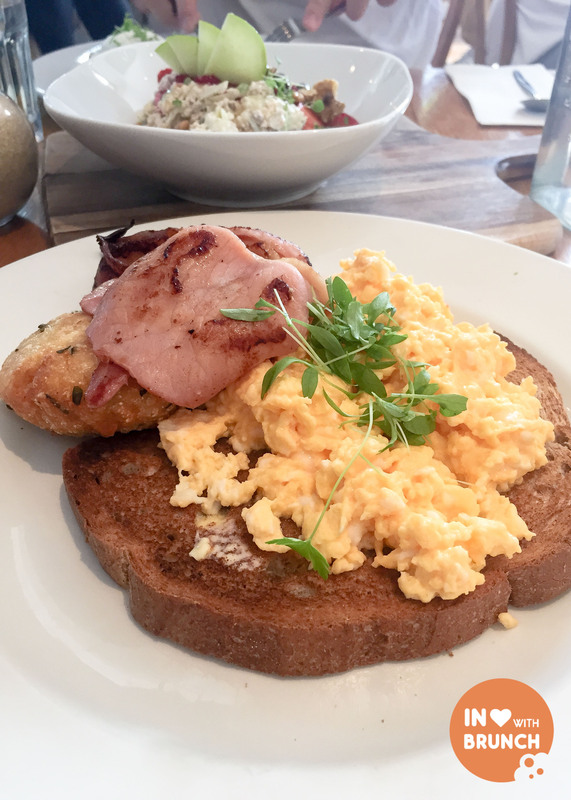 my infatuation with scrambled eggs shows no sign of letting up (i can’t remember the last time i ordered poachies). as far as scrambled goes, this could’ve been slightly more combined + a bit more creamy (i’ve had mouth-watering examples at grain store + hardware societe). the hash brown was crispy with a great herb taste in the soft potato filling. 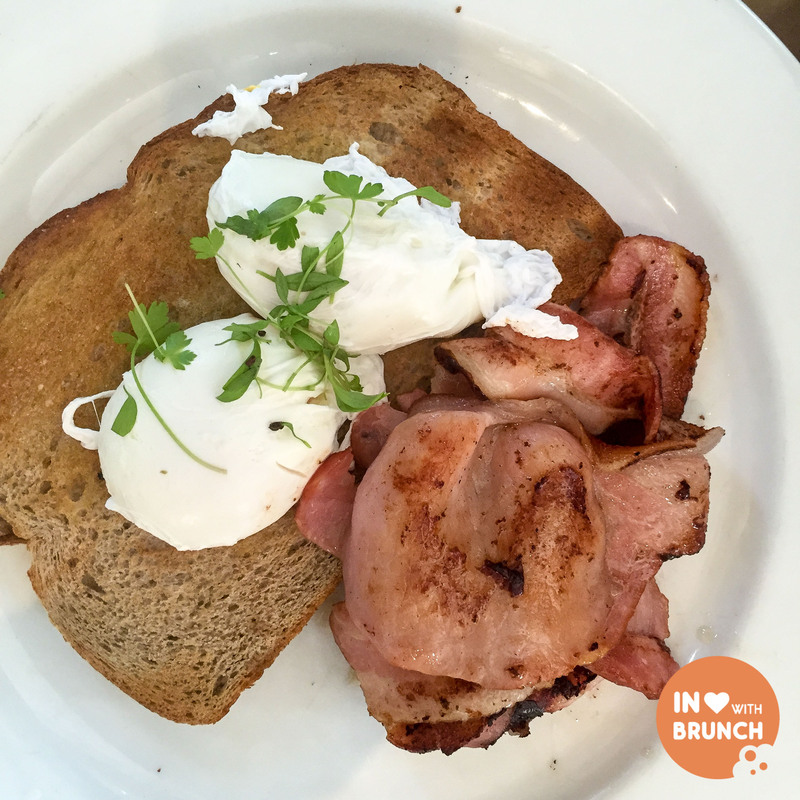 and again, the bacon was fab! all in all, pretty good. firstly, the presentation of this dish was really vibrant – the green + red really stood out – and the white bowl came served on a wooden board which always adds some effect. 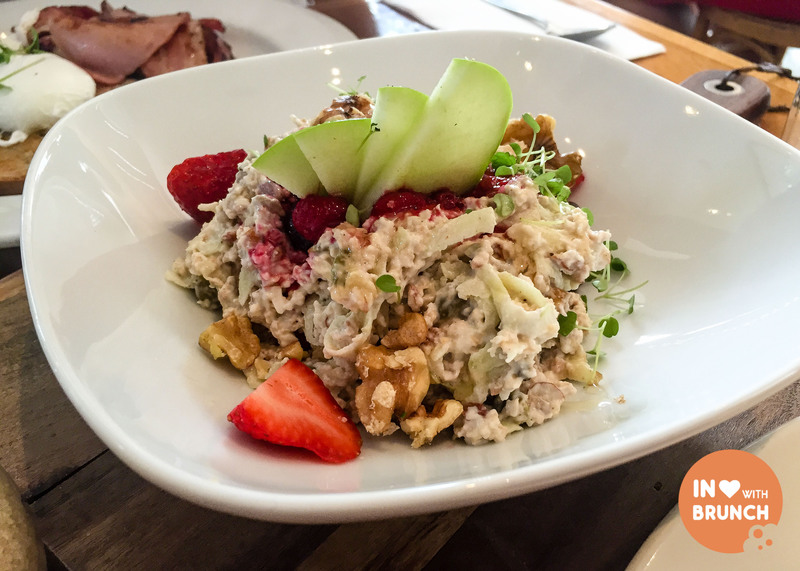 the bircher itself was packed with shredded fresh apple, seeds and nuts as well as the obligatory oats. a beautifully smooth combination. the added berries were beautiful + the walnuts added to the texture. this was a well-balanced dish in terms of sweet / crunch + was a perfect end to our meal. really delicious + i would happily have this again. 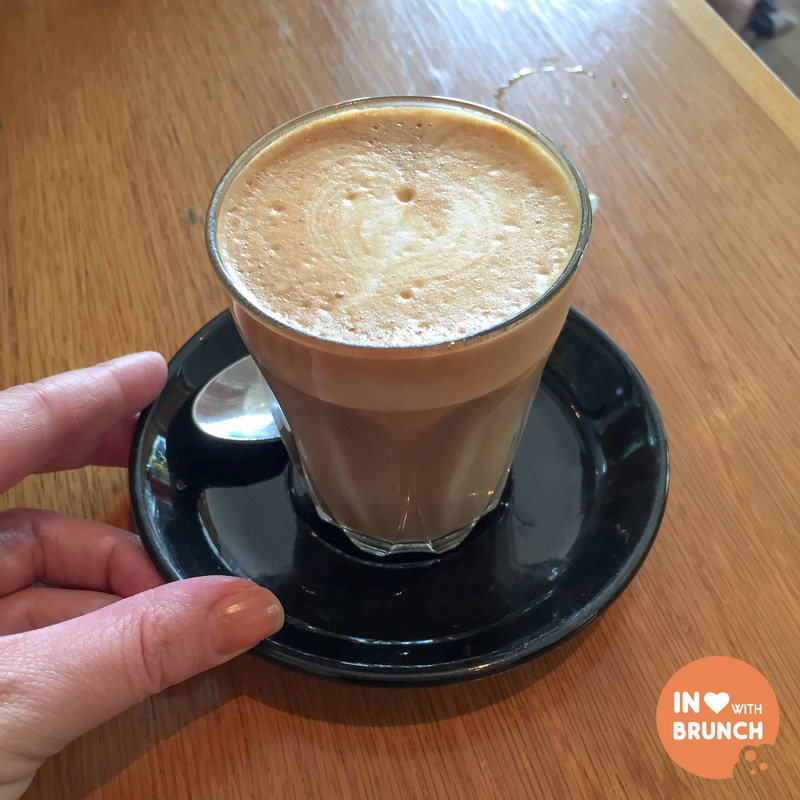 the coffee was consistent: good strong flavours + the soy milk was well-steamed. i don’t think the beans are any boutique blend (it was unclear from the menu), but enjoyable nonetheless. in terms of setting… you wouldn’t compare its interior to the likes of chez dre or the clean industrial feel of top paddock. but what sweetheart’s lacks in finesse it makes up for with charm. there are cheery fresh flowers on each table + lots of light coming through the huge front window, it will certainly give you a cosy lovebird feel, and with such an extensive menu there is sure to be something to suit everyone! verdict: a real sweetheart with plenty of charm!